You may find yourself in a situation where your tenants have moved out, or you need to improve and upgrade the security system in your commercial building. If so, At Call Locksmiths are the commercial locksmiths Sydney (and you) need! At Call Locksmiths have years of experience within the strata and commercial property industry and are the go-to commercial locksmiths for many property managers and strata companies. 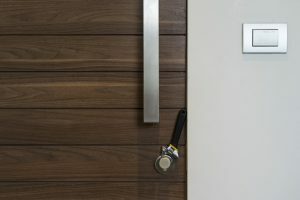 Our team of specialised locksmiths have a reputation for providing quality and efficient service to tenants, landlords, property managers and owners. We know that safety and security are paramount so we’ll do everything we can to ensure we keep your tenants, family, friends, possessions and most importantly, pets safe! No matter how many doors need repairing in your strata or commercial property, At Call Locksmiths commercial locksmith services will provide the most cost and time efficient solution for you. At Call Locksmiths in Sydney know that faulty or outdated locks are frustrating and annoying for residents, owners and landlords, and they don’t exactly offer any peace of mind. The replacement of individual locks is an ongoing hassle, and the expense can stack up. We will find the most efficient solution to your property needs which may include upgrading to a more reliable lock system saving you money in the long run and ensuring your safety. If you are unsure of what exactly you need, have a chat with one of our qualified locksmiths in Sydney who will give you specialist information to make sure your property is as secure as possible. 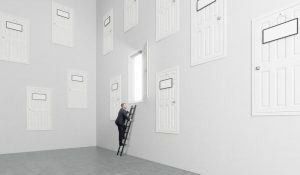 Tenants Locked Out Or In An Emergency Situation? At Call Locksmiths offers an emergency locksmith service that will get to you quickly, helping you or your tenants if you are in a pickle. At Call Locksmiths are precisely that – at call. We’re here to help with any of your locksmith needs no matter when they happen! When it comes to professional commercial locksmith services for businesses and strata companies across Sydney, At Call Locksmiths are the highest quality and best-priced option. At Call Locksmiths can help improve your business’ security by customising a solution to your exact requirements. Save time from asking Google “is there a commercial locksmith near me?” and know that At Call Locksmiths are never far away, we service the greater Metropolitan Sydney and we are ready to help you whenever you need us. The replacement of individual locks is an ongoing hassle, and the expense can stack up. At Call Locksmiths will find the most efficient solution to your property needs which may include upgrading to a more reliable lock system saving you money in the long run and ensuring your ongoing safety. At Call Locksmiths are locksmith specialists and the most cost and time-efficient option when it comes to strata or commercial properties. Our commercial locksmith services can handle jobs of any size and budget; we’re ready to work to you timeframes, no matter how tight they may be. Contact us on 1300 242 255 to get an immediate solution for your needs and take advantage of our extensive experience and knowledge. Business owners, property managers and landlords all know who to call when they need a key or lock solution. There is a reason why our customers keep coming back for our services, call us and find out why that is today.